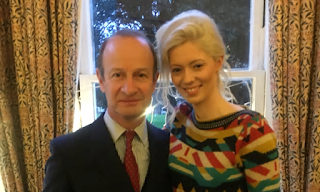 norman hewit: UKIP Civil War? Musician, DJ, poet and blogger. Whatever you sat about them it appears that UKIP members are unable to change their spots. 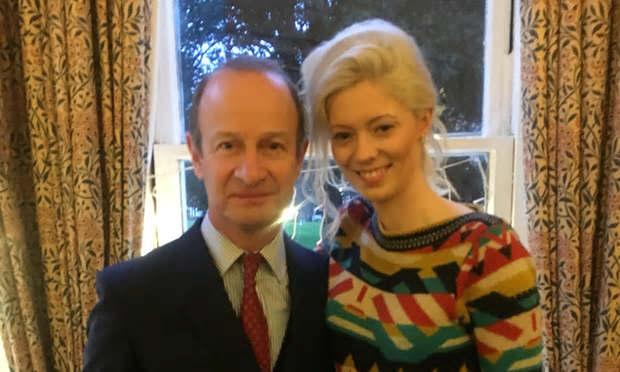 It seems that they have descended into civil war after their leader, former army officer Henry Bolton, accused members of plotting against him, after he was seen having dinner with his former girlfriend, who has been suspended from the party for racism, after apparently dumping her. Norman is the son of ‘Shaking’ Norman Hewit who in the late 1950s was a US Airman stationed first in England and then Germany. While stationed in Germany ‘Shaking’ Norman met and fell in love with Ursula Schmidt, who would later go on to be keyboard player and lead vocalist with the krautrock band Box. On December 2nd 1958 Baby Norman was born. The couple were soon married and on ‘Shaking’ Norman’s demob from the US air-force they moved back to Memphis where he found work as a truck driver and part-time musician. Ursula became homesick and in 1962 the young family returned to Europe and moved in with Ursula’s parents in Viersen, Germany. They later purchased a cottage and moved to Norfolk in England in the summer of love, sometimes staying in Norfolk and sometimes with Ursula’s family in Germany while Ursula toured with her band. ‘Shaking’ Norman was, himself a one-time Rock ‘n’ Roll singer, the illegitimate son of the mixed race delta blues legend 'Mississippi’ Norman Hewit. Mississippi Norman was reputed to be one of the finest blues guitarists of his era. There are though no known surviving recordings of his work. Mississippi Norman was himself the illegitimate son of an African American house-maid (nobody knows her real name today but Mississippi Norman’ remembered his mother as Molly) and a wealthy white plantation owner Samuel Hewitt. Although disowned by his natural father Mississippi Norman took his surname but, being unable to read or write properly, spelt the name incorrectly by leaving off the final ‘t’ hence to contemporary spelling of Hewit. Mississippi Norman decided to hop a freight train north to Chicago to find work. Tragically, on his way to the freight yard to hop a freight train out of poverty, a train ran him down. Desperate and desolate, widow Ruby decided to take her, now fatherless, child to Memphis where she found work in a diner and hoped eventually to resurrect her career as a singer. As the fatherless child grew older he did his best to help his, still heartbroken, mother, earning what little money he could by running errands after school. He also taught himself to play the old guitar that his late father had left behind when setting out on his fateful trip. On leaving school Norman managed to earn a little money by becoming a part-time truck driver’s mate and by playing guitar in the house band of a local juke joint. On his eighteenth birthday, 8th July 1954, Norman officially became ‘Shaking’ Norman when he cut his first, and only, record, a reworking of the Arthur ‘Big Boy’ Crudup classic “My Baby Left Me”. ‘Shaking’ Norman claimed that this was the first true Rock ‘n’ Roll record ever made. Unfortunately for him, the recording session came three days too late for him to be able to sustain such a fabulous claim! The record sold but a few copies and was shortly withdrawn from circulation. In later life however, ‘Shaking’ Norman earned a reasonable living playing guitar and singing, as well as promoting one of England’s first mobile Karaoke’s around the pubs and clubs of East Anglia. And so it comes to pass, that the young Norman the Third grew up in a home with wall-to-wall music 24/7. Listening to his work today it is possible to hear the multifarious influences that have shaped his life so far. The young Norman left school early and soon hit the road with a part-time country rock band but soon become fascinated both by the mobile discos he saw when doing gigs with his band. Being influenced by his mother’s krautrock background, as well as having the gift of creativity himself, he could see the possibilities offered by the ‘twin decks’. The young Norman also became fascinated by poetry and still today works regularly creating contemporary verse. Norman Hewit is indeed an extraordinary talent with an extraordinary background. 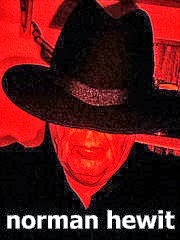 Norman Hewit is a musician, DJ, Poet and blogger of note. He is an artist of extraordinary talent which should be of no surprise to anybody who knows of the musical talents and creative minds that were his forerunners in the Hewit family Tree. He is the third Norman in a line of musical Normans and his mother and paternal grandmother where both gifted musicians in their own particular fields.